Across-body bag with cool design! Popular across-body bag now available from Nitroplus! This one features "SUPER SONICO." Super cool and well designed. 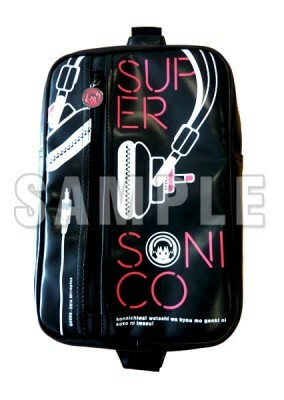 ・Cool design with SUPER SONICO's trademark headphone motif! ・Lined with colorful "SUPER SONICO" design fabric! ・Pocket zipper features original design "SUPER SONICO" charm. ・Under portion that touches your back with mesh material for air circulation and coolness. Actual product may differ from images shown. First released at the Nitroplus Online Store (June 2014). SUPER SONICO: Acrylic Key Holder - SoniAni Ver.